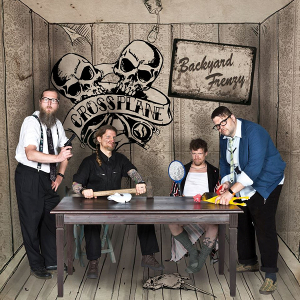 German rockers CROSSPLANE will release their third album “Backyard Frenzy” through 7Hard on February 10th. The band formed in 2010 by by guitarist Celli Marcel (Onkel Tom) and bassist Schluppi Dirk, and plays, mainly Rock'n'Roll, also Streetrock, Punk, and Metal. 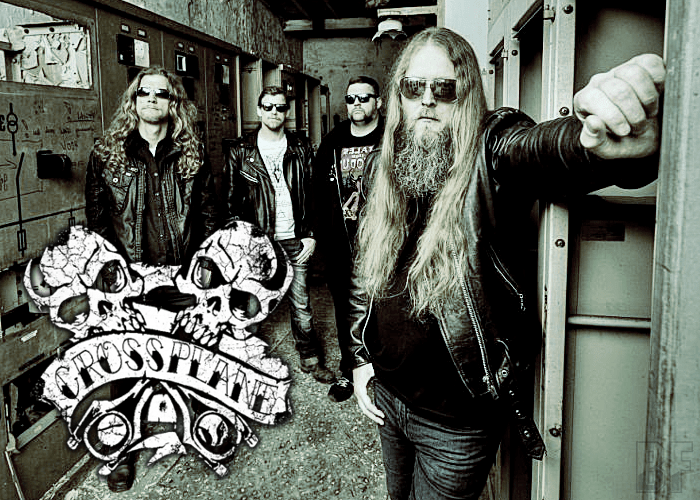 CROSSPLANE released so far the seven track demo “High Speed Operation” (2011), their first album “Class Of Hellhound High” (2013), and the second album “Masturboned” (2015). As a “Demo-band” at first, they have had more than 80 live shows and became a wildly popular ‶Live Band” in 2013. They have played as openers for bands such as 77, Chrome Division, Gun Barrel and Sodom. Besides that, they have successfully played at different festivals such as Wacken Open Air Festival, Rock in den Ruinen, Dong Open Air Festival, Rock for Roots, the Nikolaut-Festival, and Summermeeting Festival. Their new album “Backyard Frenzy” contains 14 tracks with full of Rock'n'Roll tunes that all metalheads expected to be blast at a live show.